You are here: Home › SEO Master › What should be the keyword density for perfect optimization onsite? 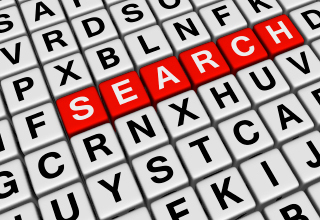 What should be the keyword density for perfect optimization onsite? SEO strategy and tricks under the radar. You have to consider a few things; first you must know that the keyword if used too often, the entire sentence structure will be ruined. You have to be understandable and readable. The main target to do seo is getting readers that are visitors. If you content is not high quality or, human readable, it’s no surprise that your visitors will move out very soon. When the posts are stuffed with keywords, they are considered as spam contents by the search engines, which leaves a very bad impression for that. So, make the entire thing understandable, well managed and technically alright. Calculating keyword density is very easy and you can do it just by counting the numbers. You have to copy the post to MS word and you can count the number of the keyword in the post. You have to calculate the percentile of the keyword. The way to do is dividing the number of keywords by the number of words contained in the post and the result multiplied by 100 will give you the keyword density, simple. Say you have 10 keywords in a 500-word post, so you have to divide 10 by 500. The result will be .2 and when multiplied with 100, the keyword density is 2%. The accepted level of keyword density by the leading search engines wave between 2 to 3 percent. I would tell you to keep the density as low as 2 percent. The rule is required to be applied in all the websites you own or, all the contents you create. There are some newer ideas and associations for keyword usage. You can focus on a specific term for optimizing which is popularly known as primary kws and there might be a few more terms, which are known as secondary kws. Now, I will talk about the easiest way and useful tool to calculate the kw density. Usually any word processor can help you sort out. You have to highlight the term and count on, pretty simple. If you find the keyword density higher than a standard level, you can change the keyword with suitable synonyms. You can easily replace a few words or phrases to standardize things. I recommend you not to be over-cautious about the keywords, just be natural with your article; this will help you to maintain the quality and standard. And finally, use some of the free resources to get your articles judged.